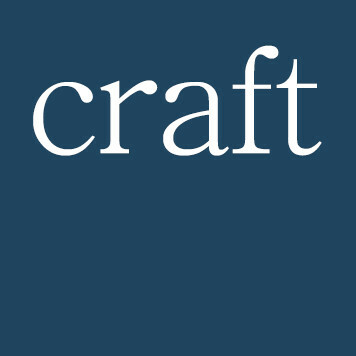 Craft is an independent neighbourhood restaurant in Harold's Cross serving modern Irish food in a casual setting. Our menu is totally seasonal letting the ingredients speak for themselves. We source as much Irish and local produce as possible. The wine list is small and accessible with classic choices and some left field options too. Excellent quality food and service. Special thanks to the Chef Gary for looking after us. Delicious meal, beautifully presented and staff who are very pleasant and know the menu. Early bird is amazing value. Great food and service . The early bird menu is serious value . A real buzz in a neighbourhood eatery. Will be back again, and looking forward to trying the Sat/Sun brunch. Excellent food. Really excellent friendly service. The food is delicious and they make it feel like you are visiting a friend they are so nice. We always love the experience and the brown bread is super as always. Well done Philip and team. We were sitting at the back and the lighting was too low - we had to read the menu with our phone lights as did the table beside us. Would have liked to see what I was eating! Asked for a desert that I had seen on the website the same day but was told it was taken off the menu weeks earlier. Fantastic food, different flavours from the usual, service was excellent. World class brunch in a local bistro. Amazing. Here for an early sitting, thoroughly enjoyable. Lovely, relaxed atmosphere, great service and tongue-tingling food! I loved the starter of roast celeriac, amazing dressing and flavours. My main course, belly of pork, was sublime, beautifully cooked and those roast potatoes....perfect. Citrus tart for dessert topped off a wonderful evening at a very reasonable price. Well done to all concerned and keep it up! We are blessed to have Craft as a local restaurant here in Harolds Cross. Always excellent, it is one of our favourite places to eat in Dublin. The staff were so friendly and accommodating. I felt like the seating was a bit tight for space, and elements of my dish were served a little cooler than others, but nonetheless, a pleasant experience overall. Thank you for another fabulous evening. Five stars all round.